The GLAAD Media Awards have dropped Bohemian Rhapsody as a nominee for best film after new reports emerged about its director’s alleged sexual abuse of teen boys. 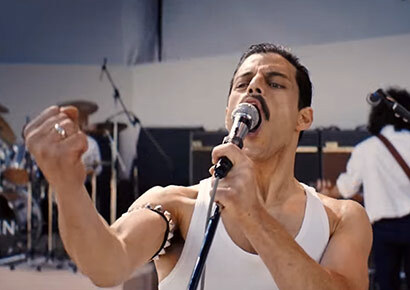 Bohemian Rhapsody – about the band queen and its LGBTQ frontman Freddie Mercury – was mostly directed by Bryan Singer. The box-office hit won two Golden Globes and has been nominated for five Oscars, including Best Picture. It was also set to be honoured by the GLAAD Media Awards, which recognises media for their inclusive representations of the LGBTQ community. However, following a devastating article in The Atlantic this week about Singer’s alleged molestation of minors, that will now no longer happen. Singer was fired in December 2017 from Bohemian Rhapsody amid a cloud of controversy. Dexter Fletcher was hired to complete filming and post-production but Singer retained full credit as director due to union rules. GLAAD’s decision was met with a mixed response on social media, with many questioning why all of those involved in the film should suffer as a result of the allegations against Singer. “WHY should all the others on the Bohemian Rhapsody movie be punished for the alleged actions of one person? It’s completely unfair to ALL those who worked their hardest to make this movie happen. Please reinstate the movie to the awards based on its OWN merit,” wrote Jo Helmers on Facebook.